These eight superb family friendly, self-catering cottages rest on an 8 acre smallholding overlooking the gloriously unspoilt North Pembrokeshire countryside. They boast the superior location of being just 4 miles from the Blue Flag beaches and wealth of bays in Cardigan Bay and Pembrokeshire Coast National Park. The quaint market town of Cardigan is 3 miles, resting on the banks of The Teifi River. The National press has correctly referred to this area as ‘The undiscovered Cornwall’; take the time to explore the extravagant natural beauty that West Wales offers. The on-site facilities include an indoor heated swimming pool which has been beautifully refurbished, a hot tub, sauna and gym. The new, enclosed sun terrace can make supervising the swimmers’ much more fun! Sense the freedom at Croft: Enjoy the space, the farm, the animals, the gardens and both indoor and outdoor adventure play areas. For over 20 years we have been raising our own family here, as parents ourselves we’ve learnt that if your children are happy we’ve gone a long way to making you happy too! For those needing time there are attractive gardens, quiet ‘cwtches’, therapeutic massages and beauty treatments encouraging moments of personal quiet. Each cottage welcomes you with flowers, tea tray and local mead and with beds ready-made, allowing you to relax. Bath & hand towels and individually controlled central heating add to your comfort. The fully equipped kitchens have a fridge freezer, dishwasher and microwave. There are individual barbecues as well as a communal barbecue garden for group get-togethers. Wi-Fi internet access, digital flat screen TV, DVD and CD players are all standard. 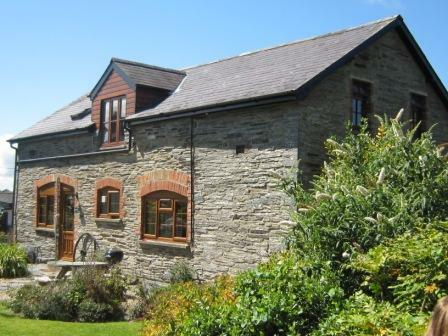 These cottages are Grades 5 and 4 Stars with Visit Wales, and we take pride in keeping them exceptionally clean and well maintained so that you have the holiday you deserve.